Recently we reported that the darlings of the Scottish indie scene from the late 80s until well, now actually, will be appearing at this year's Camden Crawl in May. Now Teenage Fanclub are clearly gagging for some more live action with the announcement of a handful of dates around the rest of the country. The short jaunt begins on 27th May in Manchester at the Academy, followed by gigs in Sheffield (28th), Leeds (4th June), Bristol (6th) and finally Birmingham (7th). Tickets are on sale now priced at £12 plus fees. 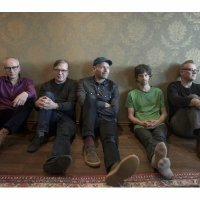 Norman Blake and his boys have been working on their ninth studio album since 2008 - 'Shadows' is now mooted for release around late Spring. As well as the quartet working together on new material, bassist and vocalist Gerard Love is also 'hard at it' in the studio with ex-Fannies drummer, Brendan O'Hare.